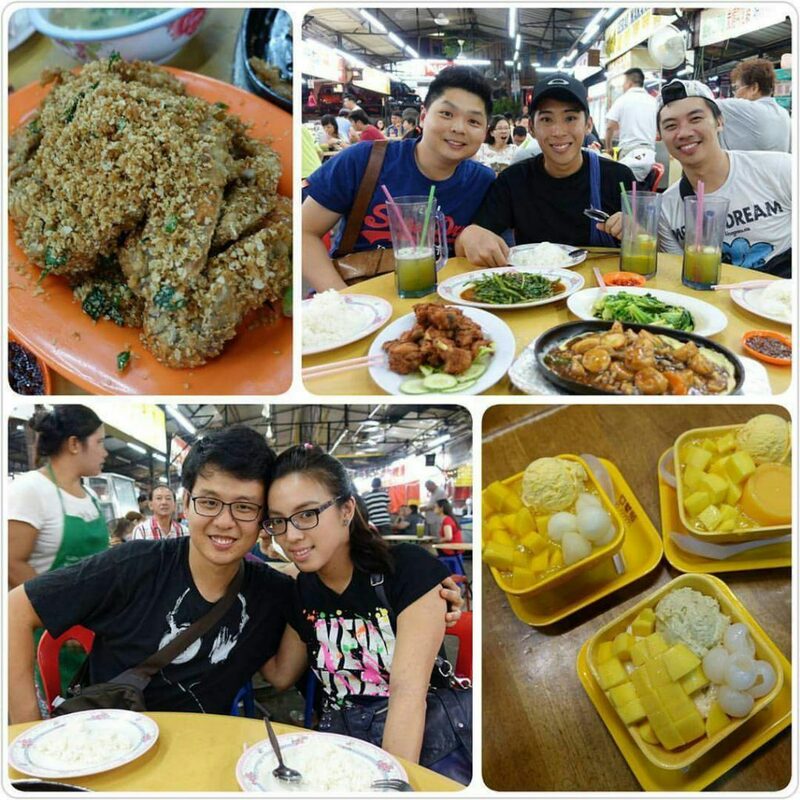 Singaporeans love to shop, love to eat, and love to bargain. The first two is a known fact, and can be done in Singapore easily, but not the third one. But hey, what if Singaporeans can shop and eat at a bargain, wouldn’t it be heavenly for them? Johor Bahru is just right across the causeway from Singapore. 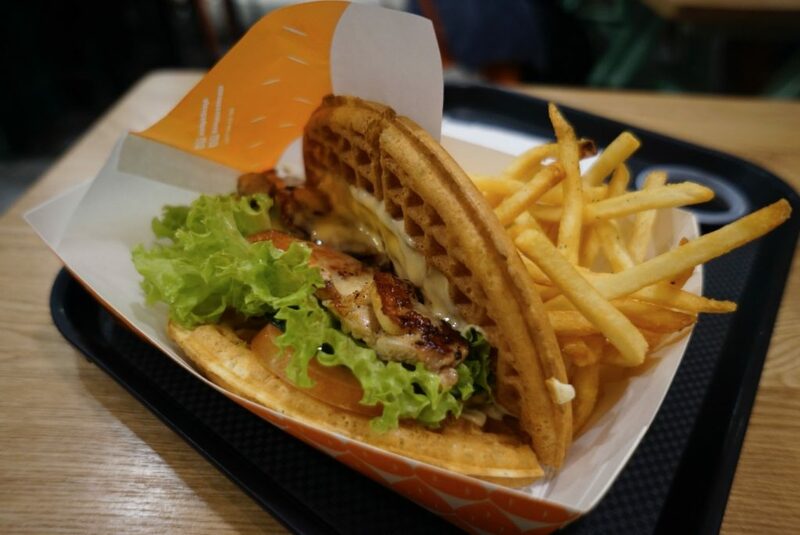 Plus, it got almost all of what Singaporeans love… Food, Shopping, Massage, Lifestyle?Services, Movie…and the best thing? 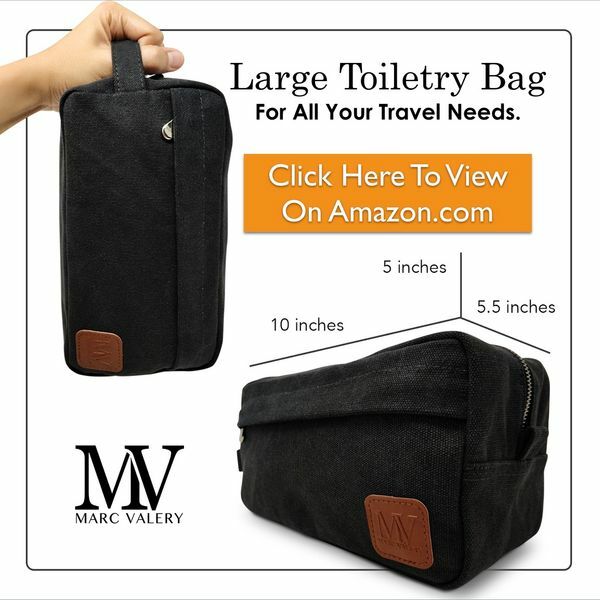 At one-third of the price!? Updated on 21st Jan 2017: Exchange rate – 1?SG Dollar = 3.14 MY Ringgit. 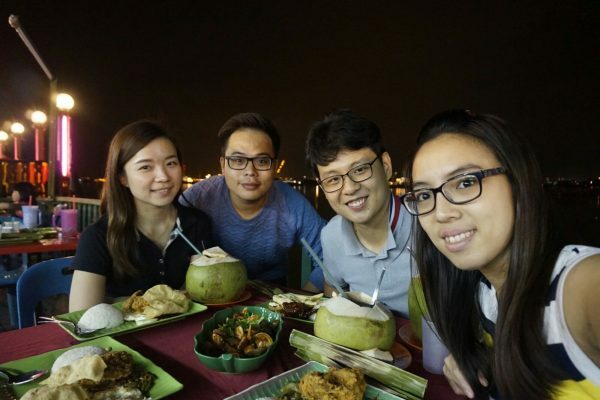 Most Singaporeans love to drop by Johor for a day or two (with a overnight stay). We love that too. The pull of the low exchange rate is so strong, that we don’t mind just going there for a day tour. If you love JB like us, and wondering what you can do there, let us list them down here for you! This list will keep updated as and when?we visit JB. 6 How to get to Johor Bahru? 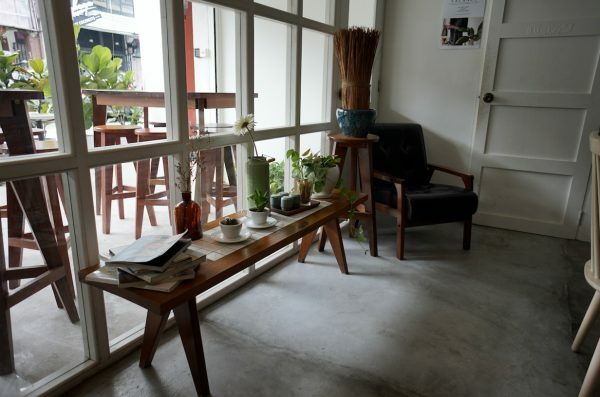 If you love to cafe-hop, which just means visiting various cafes in Singapore, then you should go to JB. 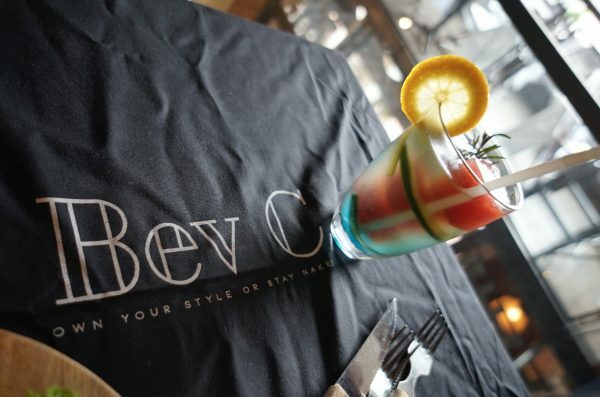 Because when?you cafe-hop in Singapore, your wallet will cry. Too expensive! But when you cafe-hop in JB, your stomach will cry! Because food it much more affordable, yet your stomach is so full you have to stop eating! Here’s some cafes we went to. 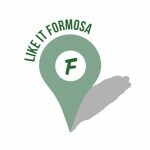 If you know more cafes that we should visit, just let us know in the comments! 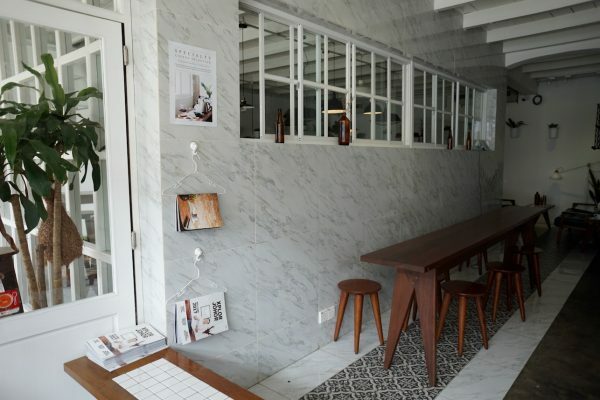 With marble walls, pretty tiled floors and plants hanging off wall, the cafe gave a warm and welcoming vibe especially it has so much natural light coming in (great for taking photos). We were so hungry as we didn’t had any breakfast before leaving home, so quickly we ordered a soft shelled crab bao (that’s what they’re famous for I think), a cup of cappuccino and a glass of freshly squeezed juice.? The food was good, and I had my coffee fix too! 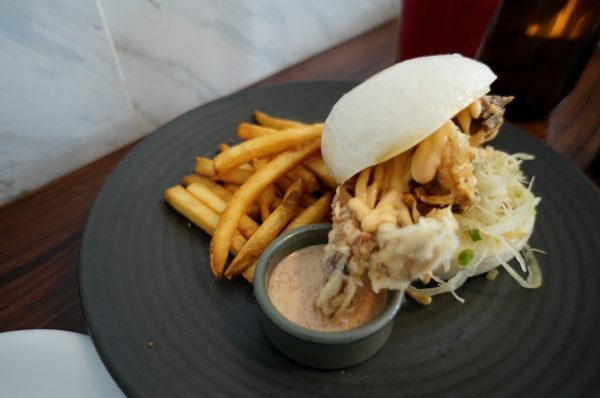 The soft shell crab bao cost 29.90 RM, cappuccino was 10RM, (how much was the juice?). It’s not exactly very cheap according to the standard of living in Malaysia, but definitely cheaper than Singapore. If you don’t mind the people looking at you,? you can even have a mini photoshoot at a corner of the cafe! 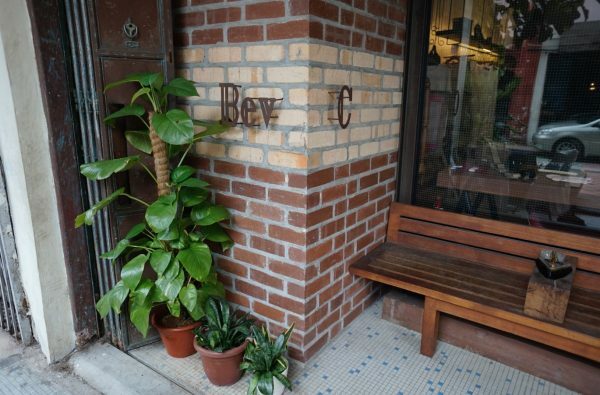 The next cafe that we hopped to was Bev C, it has a loft layout, downstairs is a retail shop selling clothes and upstairs is a cafe. What’s famous for this cafe is that they have coffee ice cubes and tea ice cubes to go with the drink so that when the ice melts it will not dilute the drink! Of course, we ordered one such drink(16RM) and their lunch set(19.50RM). The croissant was buttery and crispy-good, it came with chocolate sauce, lettuce and cherry tomatoes on the side. The watermelon ice cube in the drink looks unique and goes well with the lemon, cucumber and coconut in the drink! 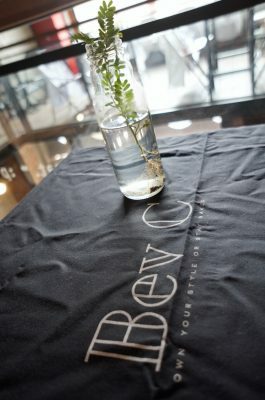 We liked The Replacement more as it has much more food option as compared to Bev C. Prices wise are not super cheap but it was a good experience. 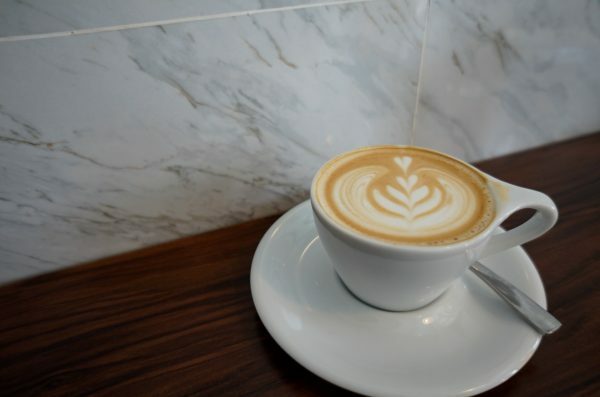 There were really plenty of cafes around the area so it’s not necessary to do research on which one to go to (so if you know where else to visit, let us know in the comments!). Most cafes provide WiFi, so if you are going just for a day there’s no need to get a data card,? just leech onto the WiFi! 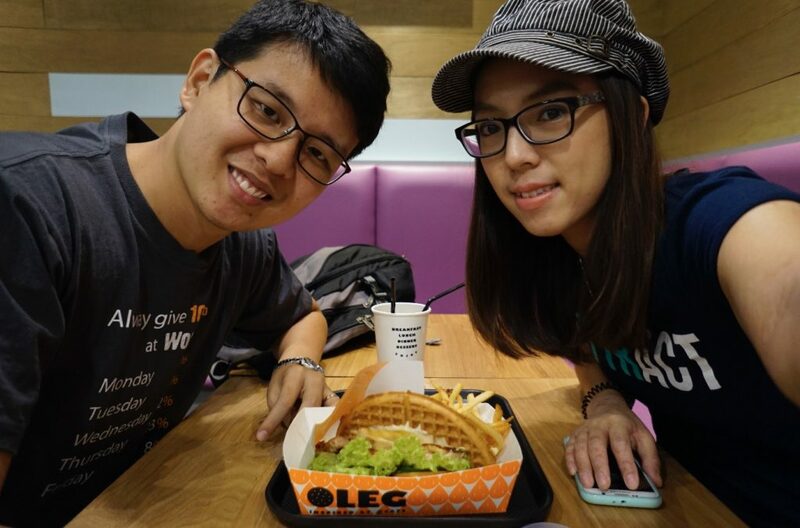 We also tried out Waffle Burger at Oleg @ City Square Shopping Mall. This is not really a cafe hop. 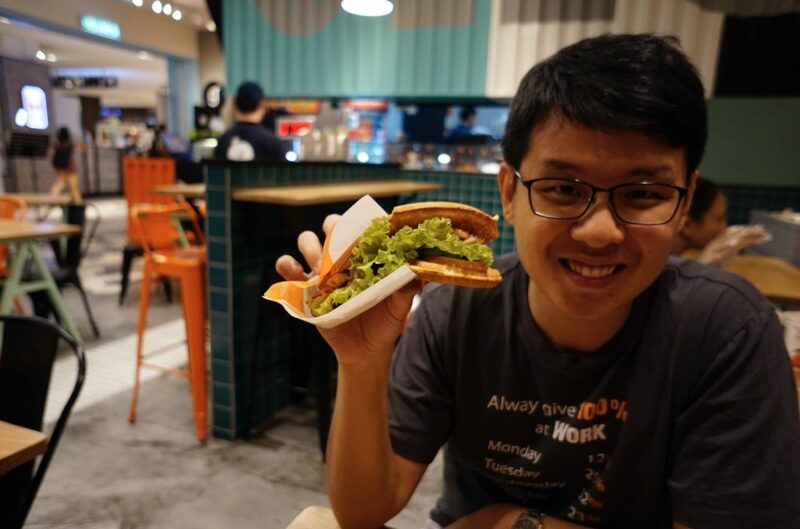 We didn’t had this burger before in Singapore hence we decided to try. Taste good! 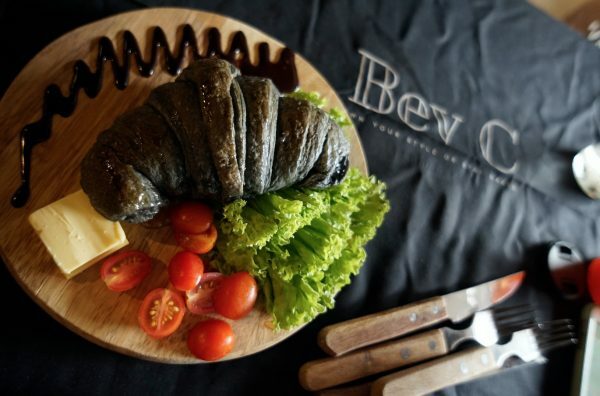 They also had charcoal burger (black burger), but we are too full to try it. Next time then! After all the eating, we walked to a nearby mall called Galleria but there wasn’t much to see so we headed back to City Square which is the shopping mall that’s directly linked to the JB checkpoint. Lots of food options and shopping,? there’s even a cinema and karaoke in the mall, it feels a lot like one of the malls in Singapore. If you want to shop in a more upscale mall, just walk over the Komtar, which is linked from City Square via a bridge and you will feel like you are in Ion. Alternatively, you can take book a grab car and explore from there. We stayed at the? KSL hotel 4 years ago and had a very delicious bak ku teh just opposite KSL. Dining is relatively cheaper in JB. Hence, as Singaporeans, we can afford to go a little ‘atas’ to pamper ourselves. 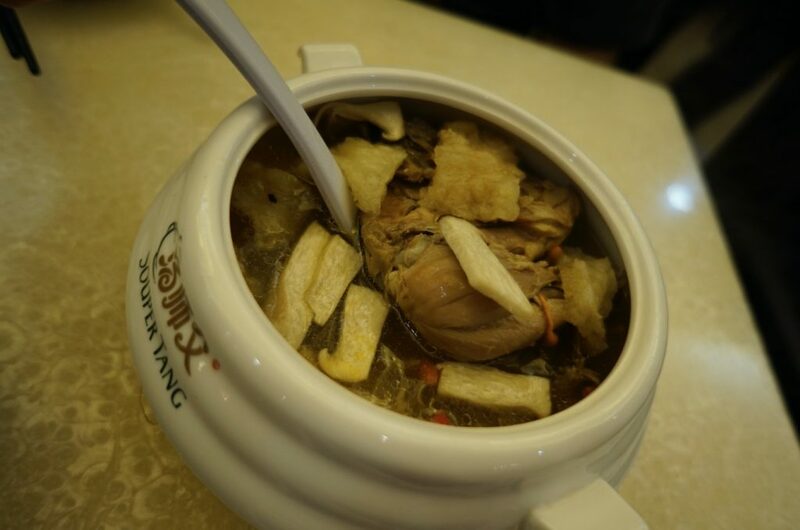 We had dinner at Tang Shifu, a chinese restaurant known for its herbal soup. This is probably the healthiest meal we ever had in JB. 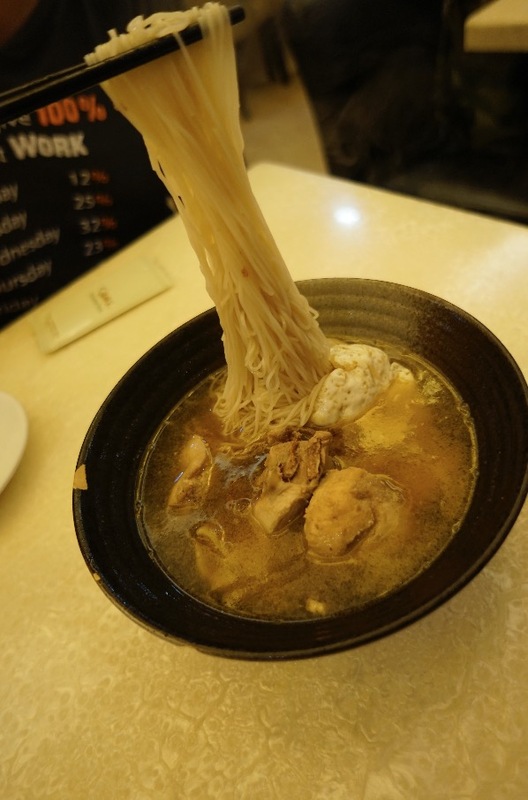 That’s their famous soy chicken mee-sua. 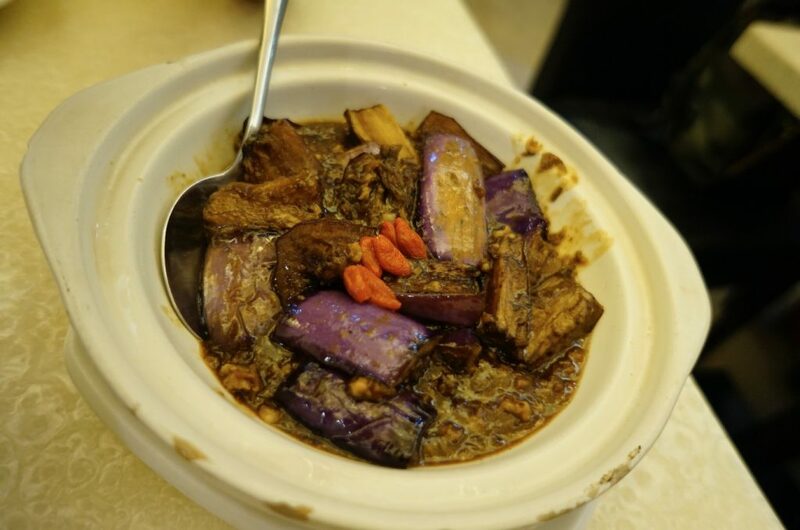 Their stir-fried eggplant. Really nice if you go with rice. We visited our JB friends and they drove us to somewhere special. We have nasi lemak by the sea. I’m not sure of the exact location, but it’s somewhere you need to drive there. Opposite the restaurant is Singapore (I guess). If you have friends who drive in to JB regularly, they definitely know this place. The Taman Sri Tebrau Hawker Centre is a huge hawker centre with lots of hawker stalls. 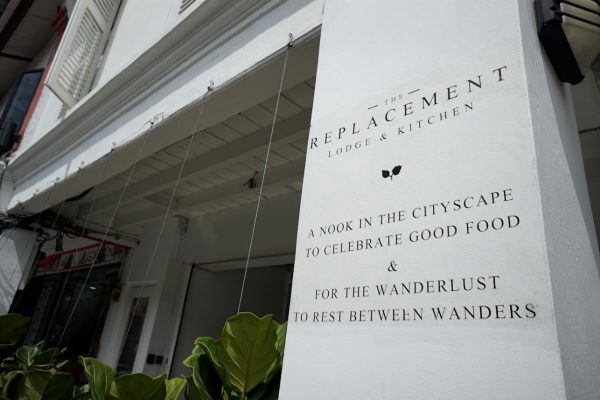 Similar to our Singapore hawker centre, you can find whatever food you want. What’s famous at this hawker centre is its seafood. There’s a stall that is known for its Ceral Crayfish (top left photo in the collage above). Of course, we had ordered a lot of other seafood dishes we love too. 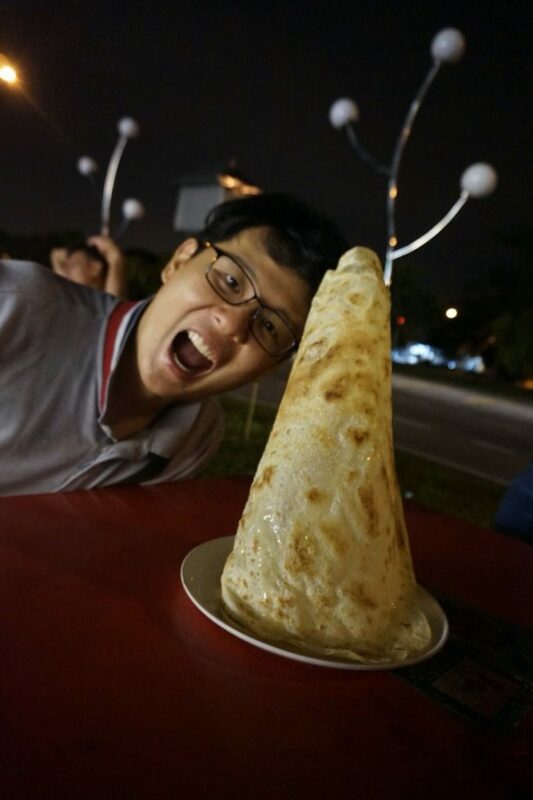 If you are going JB till late at night, then there’s even more things to do! Okay.. I mean more food to eat, even after your dinner! 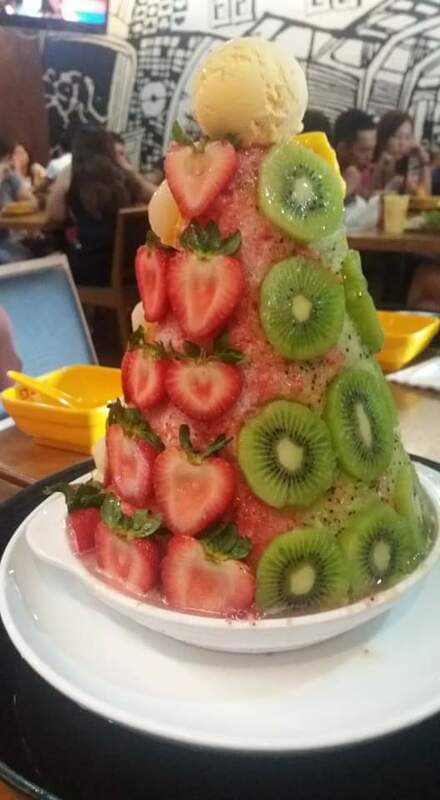 What you see is just their fruit dessert. They have their signature mango ice which is tall like 1m high. We didn’t get that, because I think you need 10 people to finish! Sea and Saw is at Jalan Skudai and you need to drive there. It’s an open cafe/restaurant and we dropped by there after our dinner for some juices. 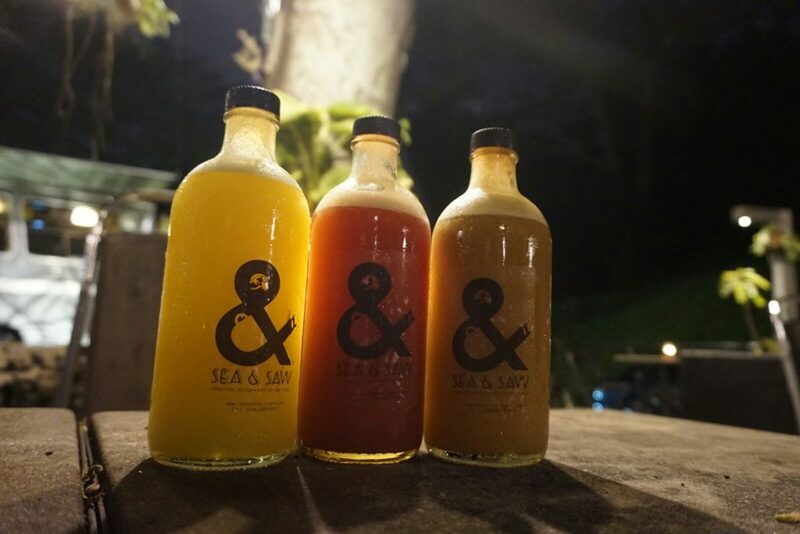 Their cold pressed juices are quite special. 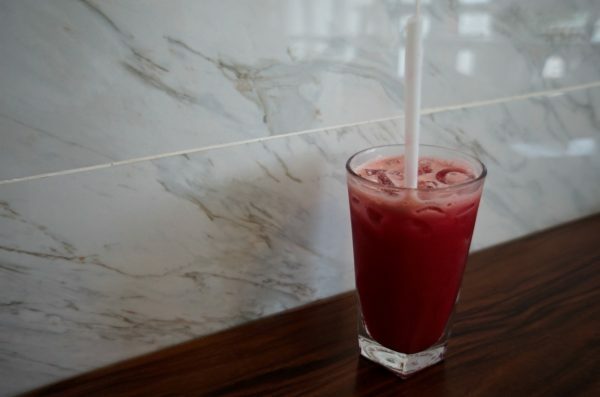 I’m not sure about the science behind ‘cold pressed’ juices, but it’s highly recommended! 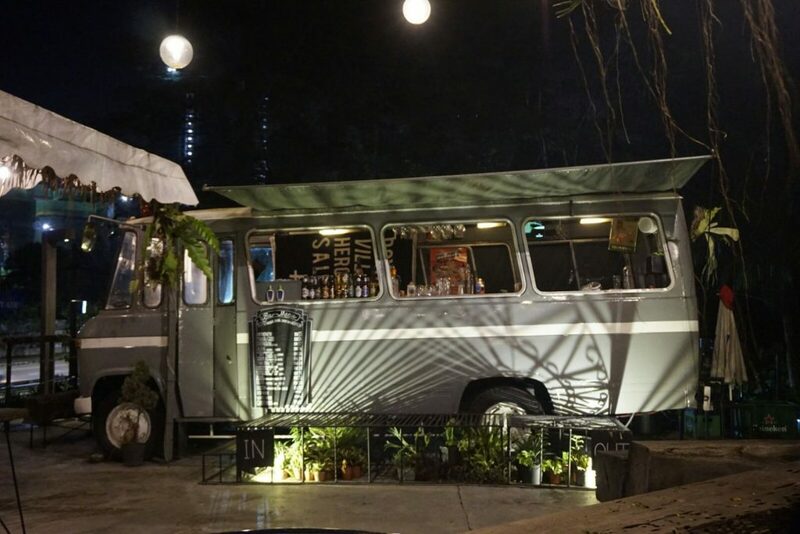 It’s also quite a ‘hipster’ place for you to hang out with your friends. There may be music at night, but usually the place is windy and quiet. Nice environment with friends! 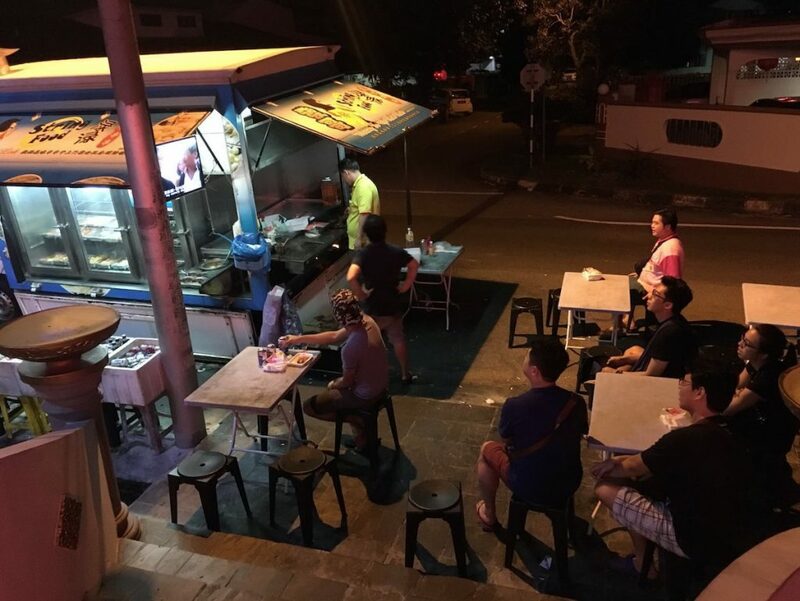 Lok Lok Vans can be found in many places in JB late at night. They are parked at ‘strategic’ areas where there are people. ?You select the food in their vans, usually are arranged in satay sticks, and they will cook it for you. That’s our friends and us enjoying some late night lok-lok supper after our Thai massage nearby. The lok lok van even have a TV (a small one) to entertain us! I don’t think you can find this in Singapore. 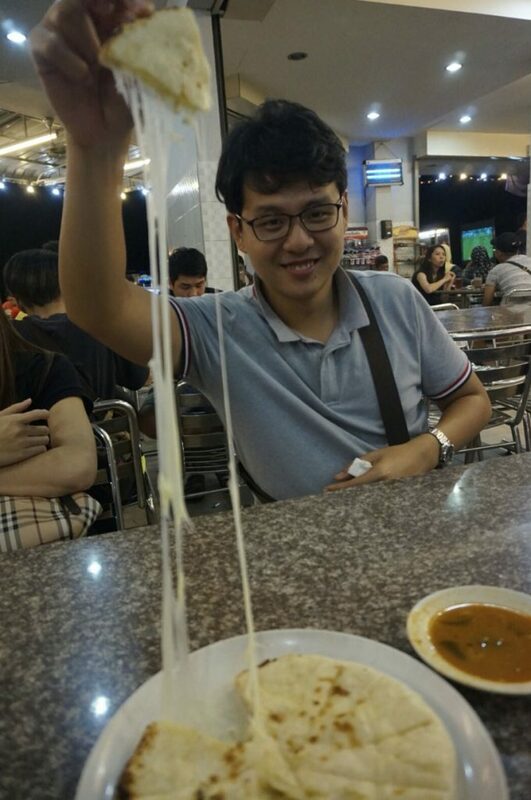 The cheese naan is recommended by our JB friends who drove us there. This is very ‘sinful’, to eat so much sweet and fatty stuff at night! But again, we come JB not to lose weight! Needless to say, JB is the best place for massage. The trip will not be complete without a pampering session. With so many different massage places to choose from, you won’t know which one is good till you try it. Previously we bought a massage package from Maxenta at Komtar, so we went back there to finish the package (not recommended!). There is Thai Odyssey at Komtar and a few other massage places at City Square as well. If you want to take a grab car or taxi out, you can also?try out Bangkok Spa. How to get to Johor Bahru? By car: you can drive to JB from Singapore via the Causeway or 2nd link at Tuas.? 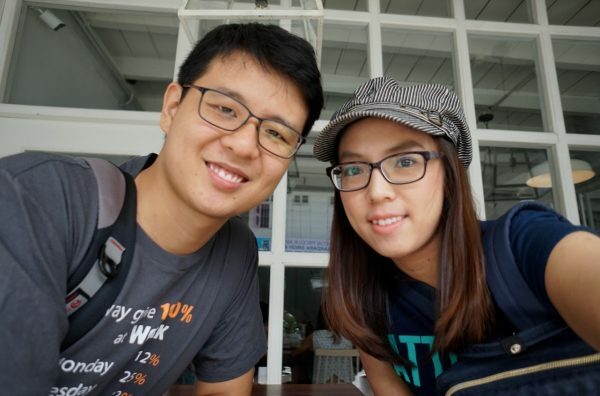 If you travel by car, though you have the convenience of driving in JB once you arrive, the jam across the Causeway by drive you nuts, usually it takes about 2-3 hours depending on traffic. ? By bus: bus services are available at Woodlands bus interchange and at Queens street bus terminal, which takes you directly to JB. If you travel by bus you will need to alight the bus at Woodlands check point, go through the immigration, then take a bus again to JB checkpoint.? We have experienced long queues at Malaysian immigration which lasted almost 2 hours, and the bus queues were quite chaotic. By train: take the train from Woodlands train checkpoint to JB Sentral in just 5 minutes.? We have traveled to JB via all the above ways and found that going there by train is the best way!? We pre-book the train tickets as it is?unlikely to buy one from the counter. You will need to get the print out receipts of the train tickets checked at the counter before proceeding to the Singapore immigration. Afterwhich, you will arrive at the Malaysia immigration before you board the train, in this way you save time and there’s a limit to the number of people in each train so the queues are shorter. Do remember to arrive 30 minutes before the departure time.? 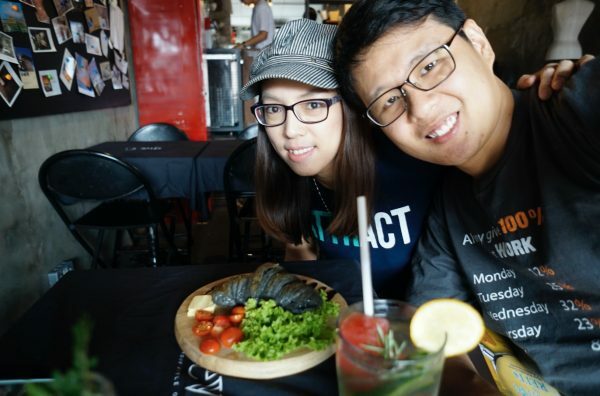 Having traveled to JB so many times, we realized the question is not ‘how to go to JB’. Rather, it is ‘when’s the best time to go to JB‘! Enter JB on Saturday Before 8am, or after 3pm. Depart JB on Sunday Before 3pm, or after 9pm. Avoid going into JB during holidays – Hari Raya Holidays, Singapore National Day, Chinese New Year, or whatever holidays. 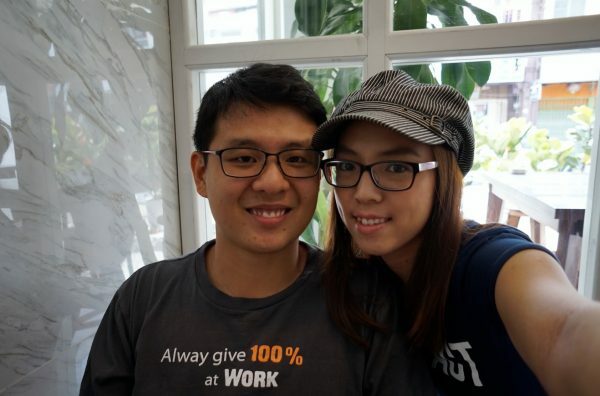 You will be squeezing with fellow Singaporeans. That’s all for this short guide on Johor Bahru for Singaporeans. We will keep this page updated as and when we discover new stuff in JB. 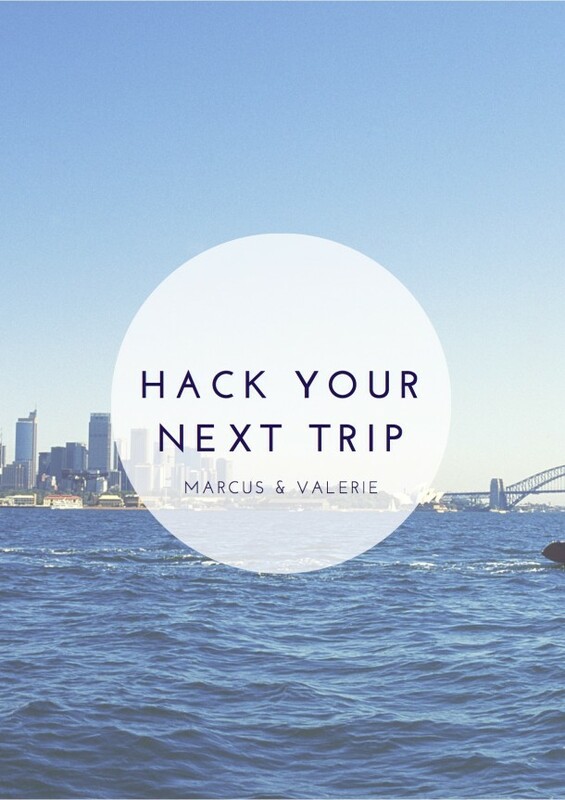 If you have any tips to where we should go, drop in the comments below!